Snail ornaments that won’t harm the garden | Monty's Potting Shed - Gardening tips and more for Gardening lovers. 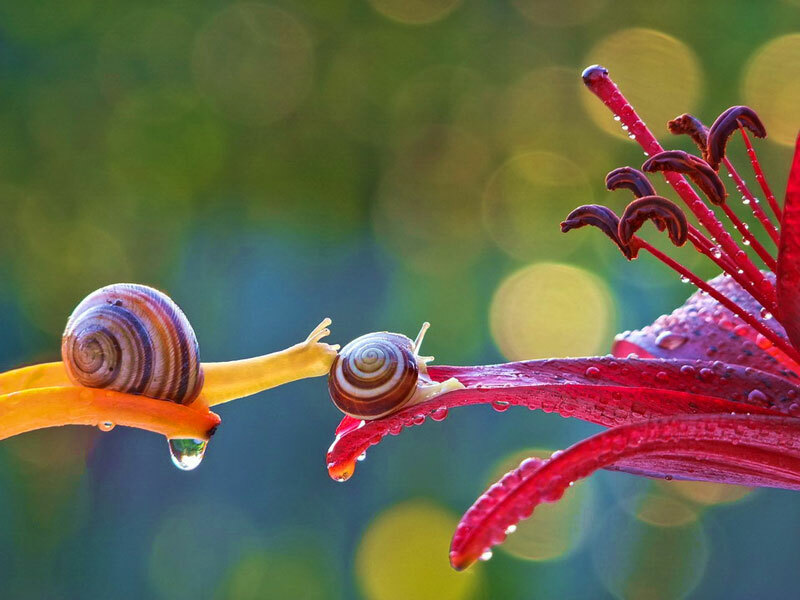 It is a well known fact that when snails get out of control in the garden, they will eat up your beautiful plants and show no remorse in the process. Most gardeners can handle a little destruction and to be honest, completely eradicating snails from your garden is a pretty impossible task. So once your snails are under control, learn to embrace them, they can be pretty sweet after all. 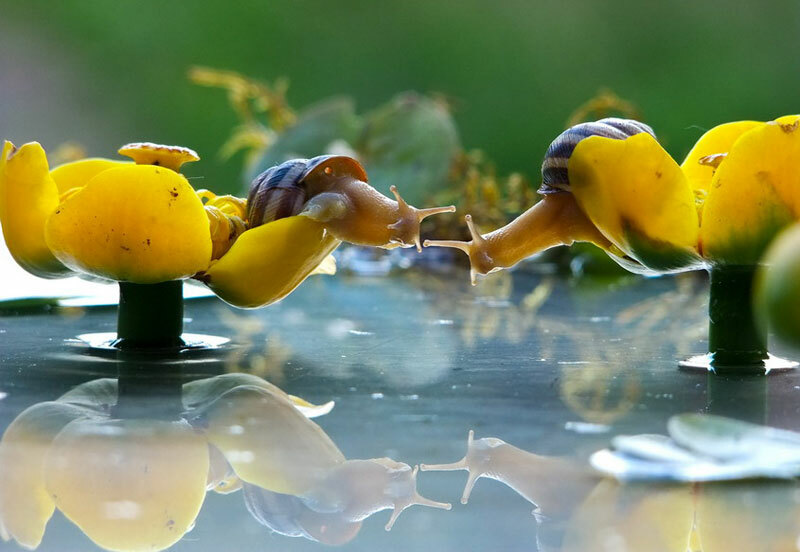 A Snail’s Life by Vyacheslav Mischenko, uses macro photography to bring the wondrous and unseen miniature world of snails to life. He manages to capture some truly astounding photographs that show the natural world in an almost fantastical light. 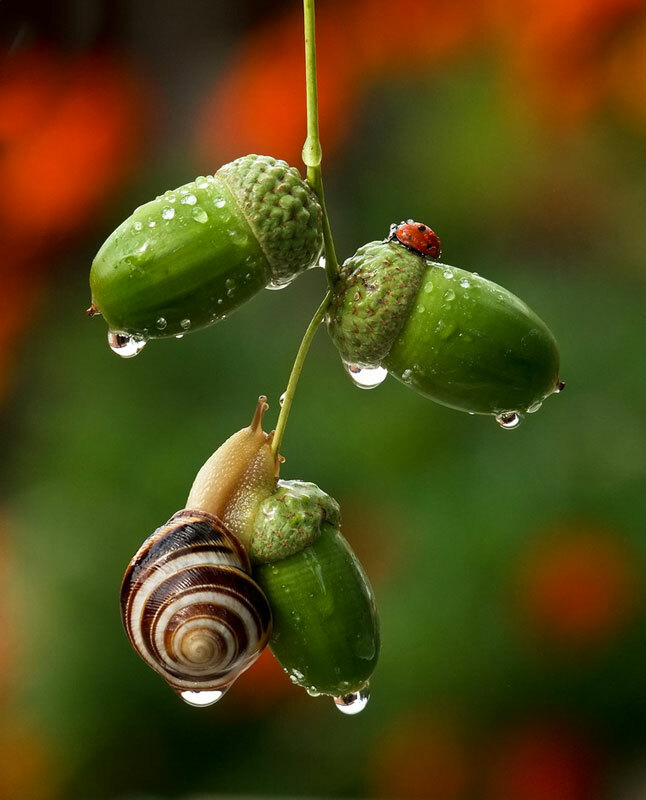 If macro photography isn’t your thing, then why not give one of our Snail Ornaments a try. They are very well behaved and we can promise they won’t devour your vegetation. From Cast Iron Ornaments to Pot Huggers, you’ll be able to fill your garden with the friendliest of snails.